I found this gluten-free corn couscous on the supermarket shelves today. I’m normally skeptical about “gluten-free” products but I was interested to try how it tastes different to normal couscous. I’m presently surprised it has more texture and buttery nutty flavour than wheat couscous as you chew. Amazing! It is so easy to cook, versatile and is a great accompaniment to any dish, for example serve with curries or casserole, grilled meat or fish or tofu, add into salad, patties, stuffing, quiche or soup. I made a couscous salad with roasted vegetables for dinner. Yummy! Mix all spices, dried herbs and melted coconut oil in a large bowl. 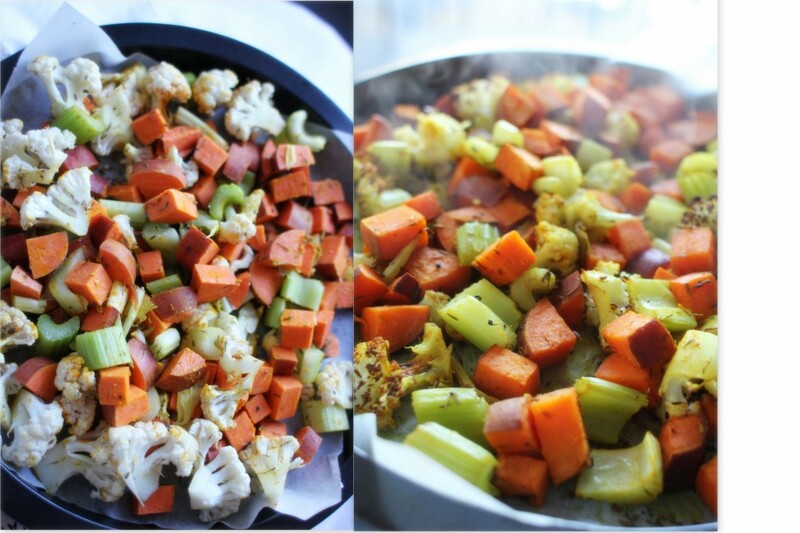 Add chopped vegetables into a bowl and stir to combine. Spread well on a baking dish and bake in the preheated oven (190) for about 20 minutes until cooked. 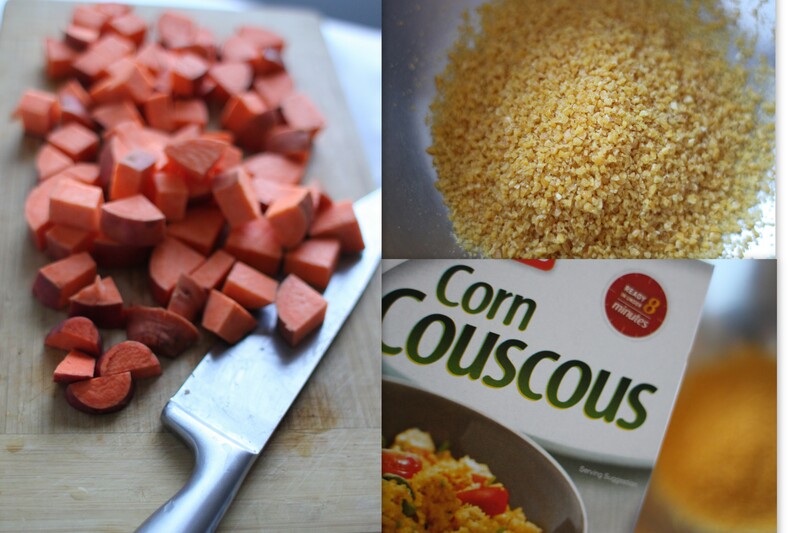 In the mean time, prepare corn couscous, just the way you cook couscous or follow the instructions on packet. 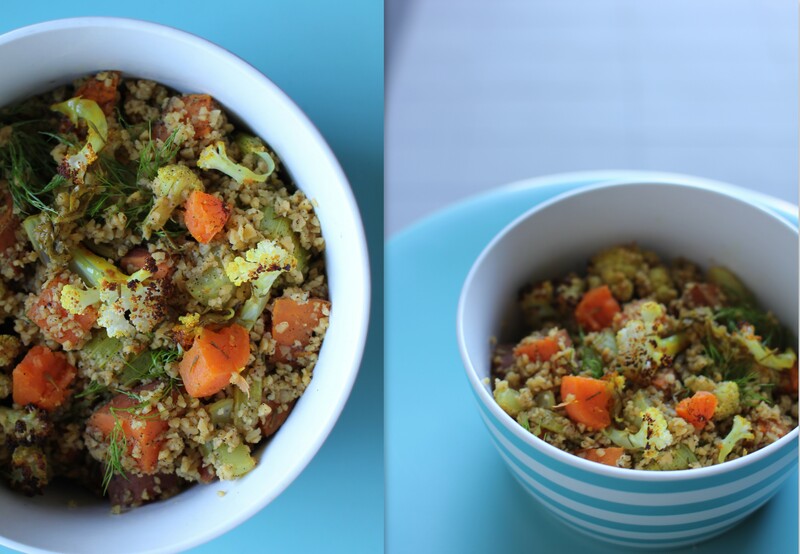 Combine roasted vegetables and cooked couscous in a large bowl. Taste and adjust seasoning. Serve warm.